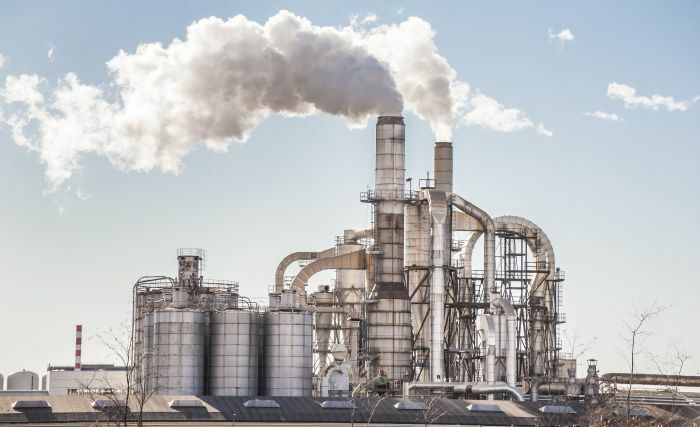 Winter is coming, which for some manufacturers means that a winter or year-end shutdown is just around the corner. If you have extra money in the budget at the end of the year, or if you’ve been on the fence about getting additional security cameras for your manufacturing facility, an end year shutdown is a great time to get a security camera installation. While your employees are cleaning everything and winterizing equipment, our employees can come in and set up your additional security cameras, offer advice on camera angles and positioning, get your NVR set up, and help you with any questions or concerns. Winter or end of the year shutdowns are also great times to get your security system checked. 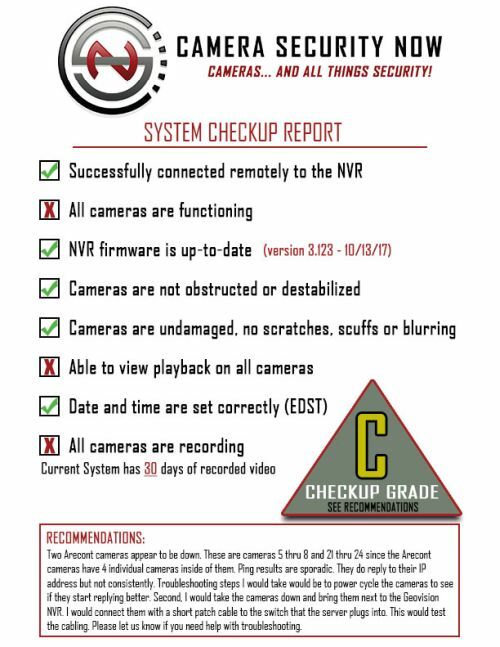 At CameraSecurityNow.com, we offer monthly security camera system checkups as a service to make sure that your facility’s cameras are operating at peak performance. In addition to all of the things listed above, our technicians can also provide general information such as when the last time the computer has been rebooted, whether or not you have any critical errors in your system, and can diagnose problems your system might have. We are currently testing around with the design of this report, so a report you receive may look a little different in the future, but as you can see this report doesn’t waste your time and is easily comprehensible. If you are interested in getting a monthly surveillance system checkup, give one of our technicians a call today at 513-422-3609 to learn more! I know this isn’t the typical shock and awe article advocating installing a security camera system, but don’t worry if you like those types of articles – I’ll have something exciting or grotesque coming down the line for you soon(ish).